It’s interesting that Dr. S’s original protocol has no mention of adding fats back in slowly in Phase 3. I know it can feel frustrating if you are at that point where you sick of all the rules in P2 only to move to another phase that seems to have more rules than you thought, but really it’s just about being gradual and embracing new foods and new amounts of foods slowly. This doesn’t mean you have to stick to no fats like P2 – it’s just add them a little more gradually than some of us might do gradually – and of course some of us end up working up to a diet fairly high in healthy fats, which is totally fine is your body does well with that. Should You Include Coconut Oil Calories in the 500 Calories of the HCG Diet? So eating eggs with avocado, and bacon or even prosciutto sense its less lardy then the bacon wouldnt be ok for breakfast on my first day of p3? I have added more fat straight away lamb, chicken with skin on, eggs and I have lost 2 pound on phase 3 is this normal?? But what about wineeeee ???!!! good lord can a gal get a drink in P3? Hey Chica thanks for replying, i have to admit i did freak out my first day weighted myself at night having 2 pounds on, and in the morning it was only one. And the next following days i went under this pound and i have kept my weight close to the last weight of P2, never the less it is still fluctuating. Hi i did my first P3 day and already put on 2 pounds, Do i go directly to Steak day? Hey @Sara – if it were me, yes I would. In my experience with Phase 3 is that as long as you refrain from consuming starches and sugars during Phase 3, you can indulge in the consumption of fats, but that being said, it would be best to have quality rather than quantity. Aim for quality fats, such as organic coconut oil, extra virgin olive oil, grass fed butter, organic or natural peanut butter (the kind that has no added sugar that you need to mix before consuming). I would be a bit cautious about drinking milk or eating yogurt in phase 3, there are some people who do recommend plain Greek yogurt as a protein source during Phase 3, I believe Colin Watson mentioned it on his Youtube channel, I was super cautious during Phase 3 and waited 2 weeks before adding in yogurt. I think fish oil, particularly a premium strength fish oil would be very important for your health in phase 3, but you can get that from eating fish rather than from a supplement. However if you do not like seafood, a supplement would be useful as Omega 3 supplements are good for your heart and brain health. I recall during my first round of HCG, where I used injections, I was over excited and went out to a Thai restaurant, and indulged myself, I had proteins but no rice, but I wound up over 2 pounds over my last injection weight and then wound up having to immediately do a steak day, I was guessing that my meal probably had a lot of hidden sugars and was high in calories, you are supposed to have between 1100 to 1400 calories per day during the first week of Phase 3. This is definitely the most important and crucial part of the diet, even though its the part where you really do not lose any weight, its important because its the part where your weight becomes stable, ie, does not fluctuate due to any excesses and where your metabolism resets. 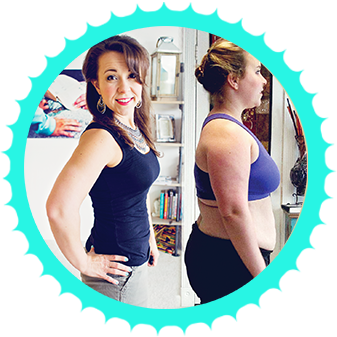 I recalled on my second round I made the fatal mistake of doing phase 2 and skipping the 3 week phase 3 stabilization phase, and wound up regaining the weight I lost, that I had to another round again. Luckily as I mentioned on another part of this blog, that I did a third round using drops under physician supervision and lost the weight but my doctor made sure I followed through with the stabilization protocol on Phase 3. The main foods to avoid are foods like bread, pasta, rice, sugar, sodas, cookies, chips, etc, carbohydrate and sugar laden foods, and emphasize proteins, vegetables, and healthy fats. You can have low sugar fruits like berries and apples while on Phase 3. I must agree! The first fat I reintroduced was the cream in my coffee. YUM!!! I missed that more than anything! I make my own coffee creamer with vanilla beans and other natural ingredients. I have just run into a weight gain of 1 1/2 lbs. I made the mistake of adding too many other fats as well. Avocados, nuts and even bacon for breakfast the other day. But I am counting my calories and I am at 1510 each day. I also started to work out again. I KNOW I KNOW!!! Water retention! UGH! I’m so discouraged. I travel every week as well and this is very difficult. I do, however pack all of my food. I don’t eat out at all. But I don’t get to weigh myself for 3 days, and this makes it hard to keep track. I wonder if I should do a steak day and start phase 3 all over and maybe just do cream in my coffee for a while and avoid the other fats for a while longer until I’m certain I’ve stabilized my LIW weight. I’m only in week 2 of P3. This morning is when I saw my first gain and then had to leave town for 3 days. I’m a little anxious — okay a lot anxious about getting home and getting on the scale again. I don’t want to starve myself either. It’s a very precarious balance. To work out or not to. To cut back on calories or not to. Just do protein? Hmmm… any thoughts would be most appreciated! Thank you! @2yorkiemama Oh I’d LOVE to hear your coffee creamer recipe. It can be a bit of a roller coaster sometimes. Travel in general causes water retention sometimes. I think the biggest thing is not to get so worried or consumed that you let discouragement cause you to do something you’ll regret you know? Like even if things are exactly the way you’d like on the scale, don’t let this make you too defeated – make practical adjustments that you can – I do make use of intermittent fasting according to brad pilon’s method at eatstopeat.com – but I use it balance, no more than 1 or 2 days a week, spread out, never back to back. I’m sorry I wish I could make it easier for you! Hey thank you for the encouragement, lady! What is eatstopeat? How does that work? I would like to do it if you have been successful. Please do share! I will send you recipes for coffee creamer via email when I get home. Easier than doing here on this forum. Would like to hear about the fasting… also, Barbara said she does a protein and veggie day one or two times a week so as not to have to do a steak day. I like that idea too! I’m ecstatic to have found you both! Thank you! Merry Christmas! Hey @disqus_jsYAyH16Yn:disqus – if you look up eatstopeat.com it’s a method for fasting 1-2 days a week, for 18-24 hours at a time. I love it and have used it for 3 years now. I feel GREAT when I fast – as long as it’s a busy day and not a weekend day with my family 😉 and it really does keep things in balance for me. Most the time the fast begins after dinner one night, and end the following night at dinner, so you never go a day without food even while fasting that day, because you are eating dinner. So I might start my fast at 9pm tnite for instance, and then end it sometime between 6-8pm the following day with a nice healthy dinner. Hi! Thanks for the tip! I bet it works great if you are up a pound or so to bring things back into check, huh? Fabulous! I’m going to do that! 🙂 Merry Christmas! !